Our Mens Formal Hire is supplied by Peter Posh. 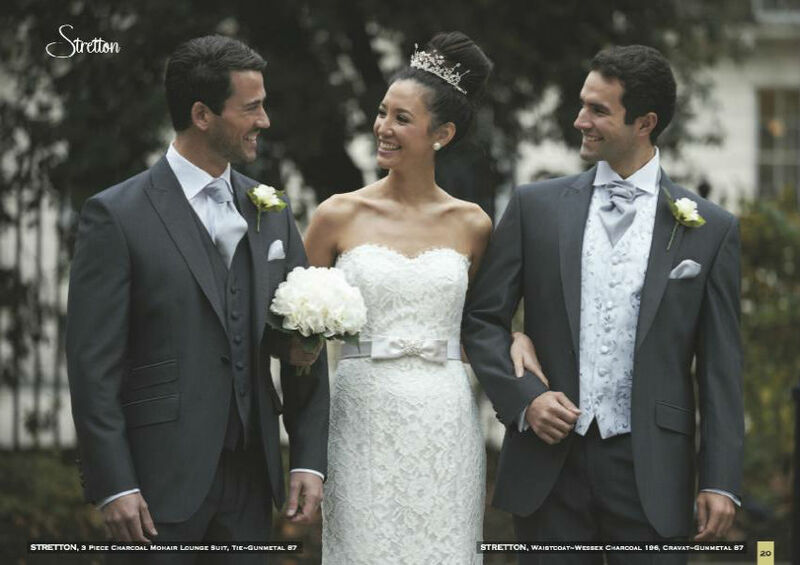 Our prices are competitive and if you have 6 or more in your bridal party then GROOM GOES FREE”. Also if you have a unique colour as your theme don’t worry we can make up your ruches/handkies to match any colour. (Charges may apply). 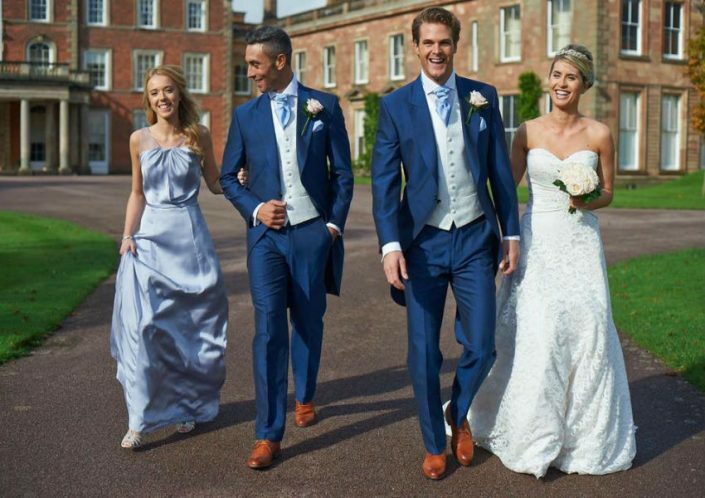 Our suits are provided by Peter Posh who have been established for over 25 years in the suit hire business. 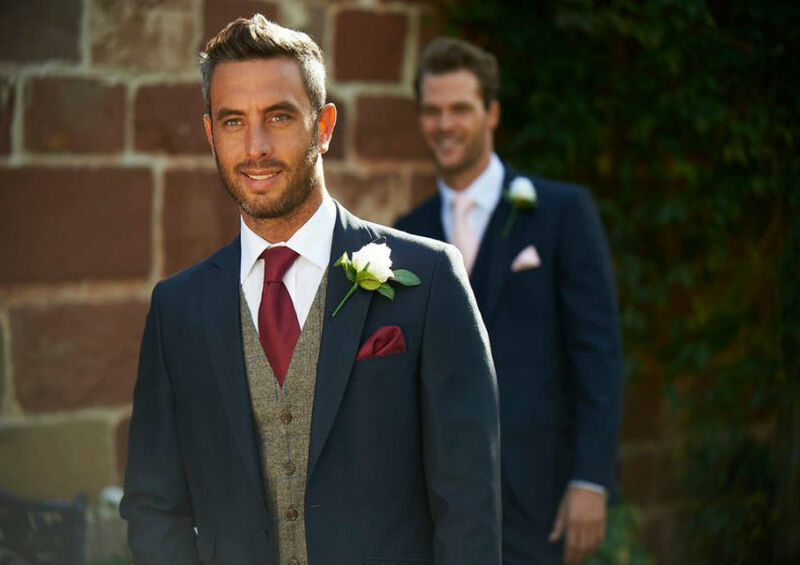 Peter Posh have an excellent reputation for quality Men’s and Boy’s wear and have won numerous awards in their field. 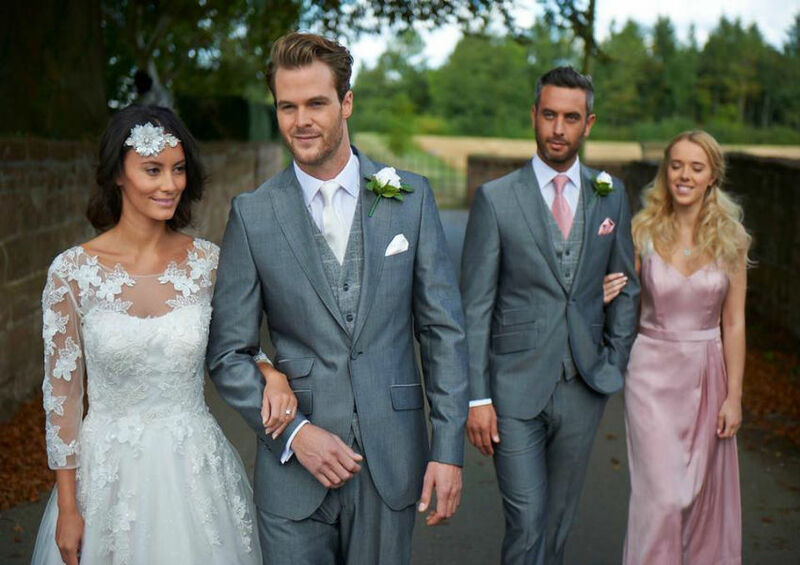 Hiring suits is an excellent way to have your Grooms party looking their best and can be cost effective when you add in all the extras. Our suits also come in a range of different arm and leg lengths, so you don’t have to worry about those unusual sizes. We also offer “GROOM GOES FREE” when you pay for 5 or more suits. 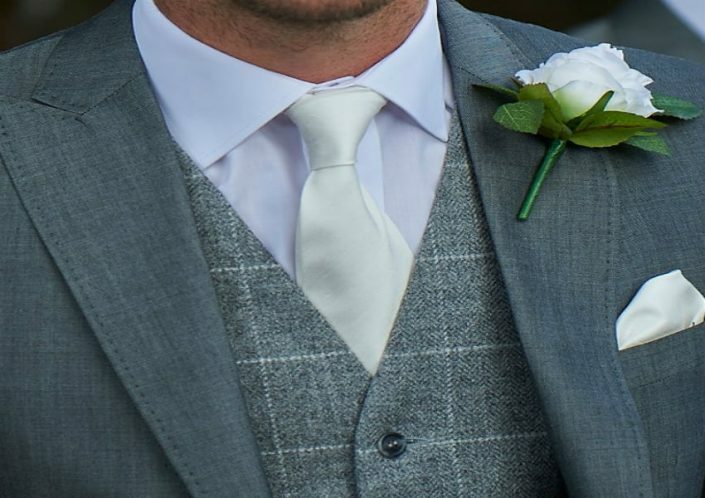 Our suit hire package includes Suit, Waistcoat, Shirt, Neckware, Handkie and Cufflinks and don’t forget we can offer a service to make neckware and handkies in colours to match you colour theme. (Additional costs will apply). See the online brochure at peterposh.co.uk or call instore and pick one up. Tailcoats or Morning Suit are without a doubt the best known choice for the classic groom. 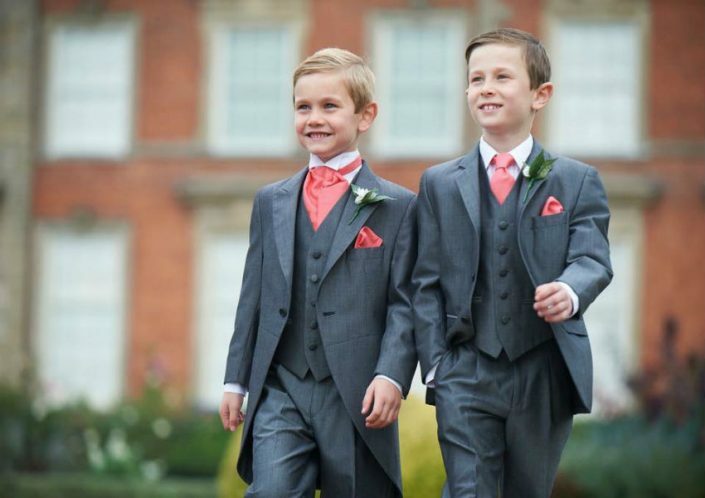 The suits come in a choice of light weight Mohair or Herringbone. Mohair – Silver Grey, Slate Grey, Royal Blue, Navy Blue. Herringbone – Slate Grey, Black, Navy. Lounge suits are a modern or traditional style of short jacket suit and come in a variety of styles and colours. Herringbone – Black, Slate Grey or Navy Blue. 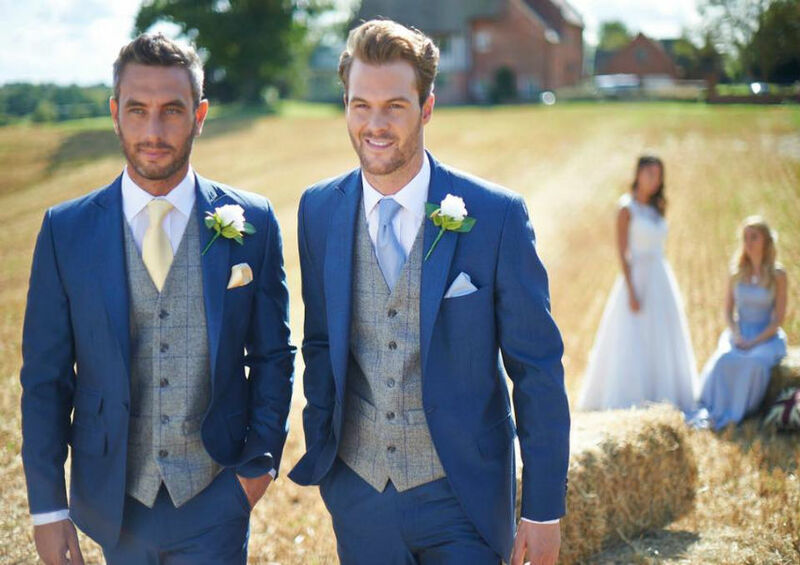 Another traditional wedding suit with a longer length jacket available in herringbone only. This jacket should be worn open to show off the waistcoat. Herringbone – Black, Navy, Chocolate Brown, Grey, Beige and Ivory Brocade. Knee length jacket another traditional option to the Edward or Tailcoats. 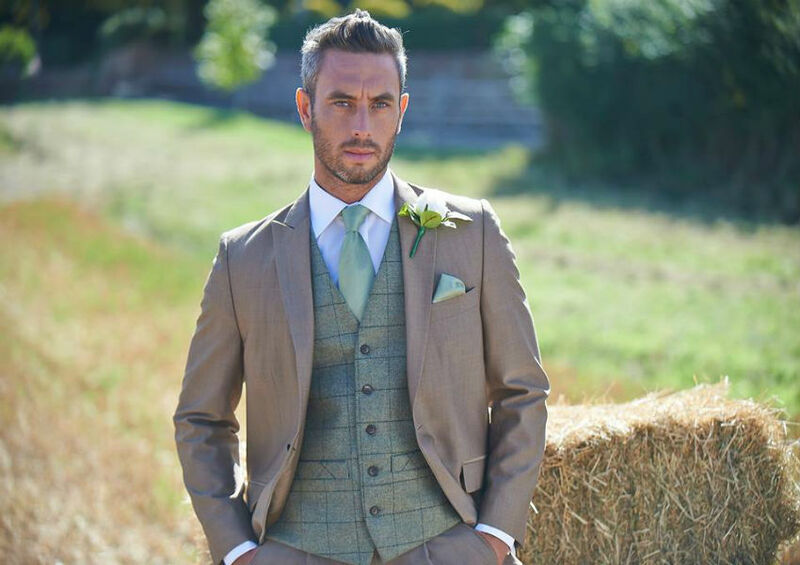 This jacket is traditionally worn open to show off the waistcoat. Herringbone only – Black and Navy.